This week we took an impromptu 4 day trip to South Carolina to attend a family member’s annual July 4th party and visit with other relatives. We also spent one night in Savannah at the Andaz with a Hyatt free night certificate, which I’ll review in a separate post. 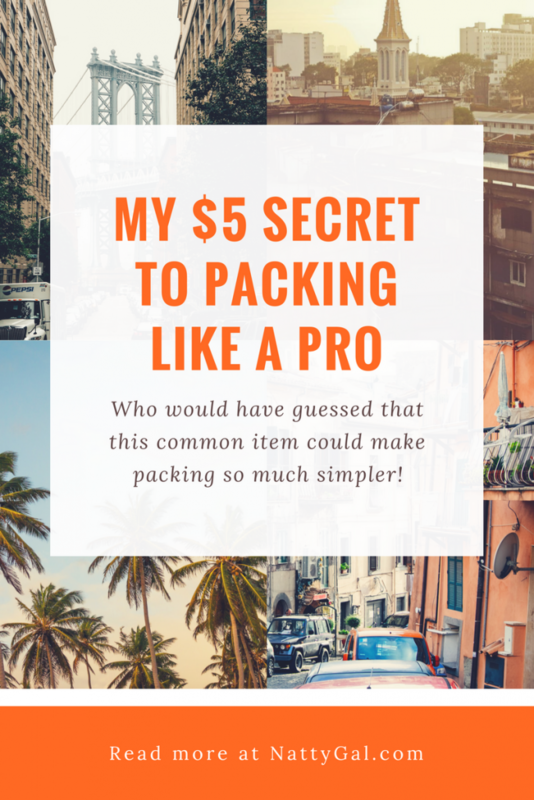 As summer is a prime time for a getaway, I thought I’d share with you my packing technique and $5 secret for packing like a pro! Initially addressed in this post, below is a more detailed demonstration of my heavily road tested packing method. 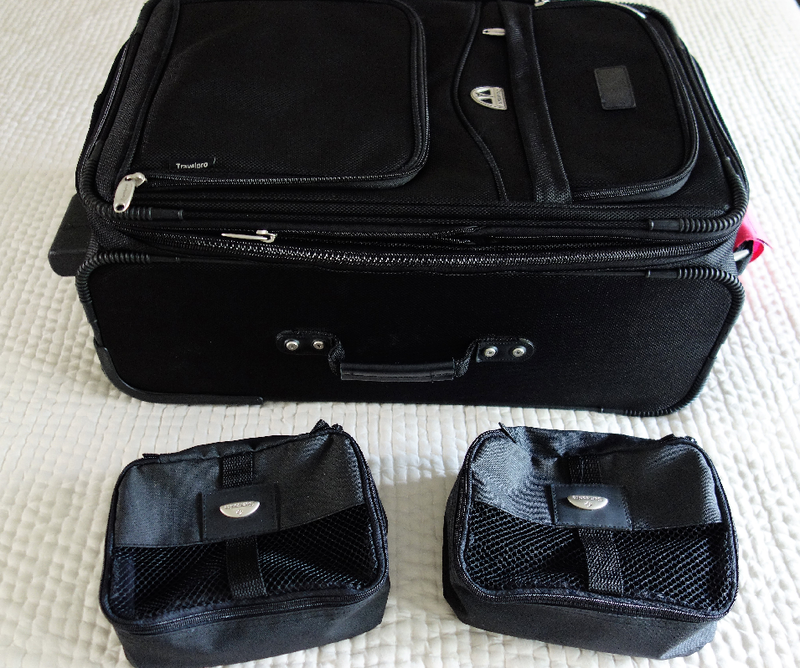 I use TravelPro luggage and Samsonite packing cubes. The Amazon Basics cubes look good too. In a pinch, gallon zip-lock bags will also work. 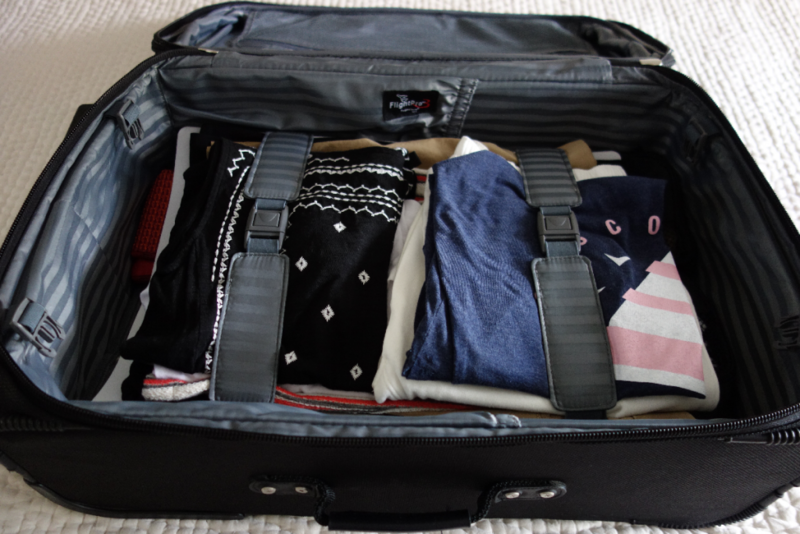 I place my packing cubes, shoes, toiletry bag, make-up bag and jewelry roll on this level. One packing cube contains undie stuff, the other has my cover-up and swimsuit. 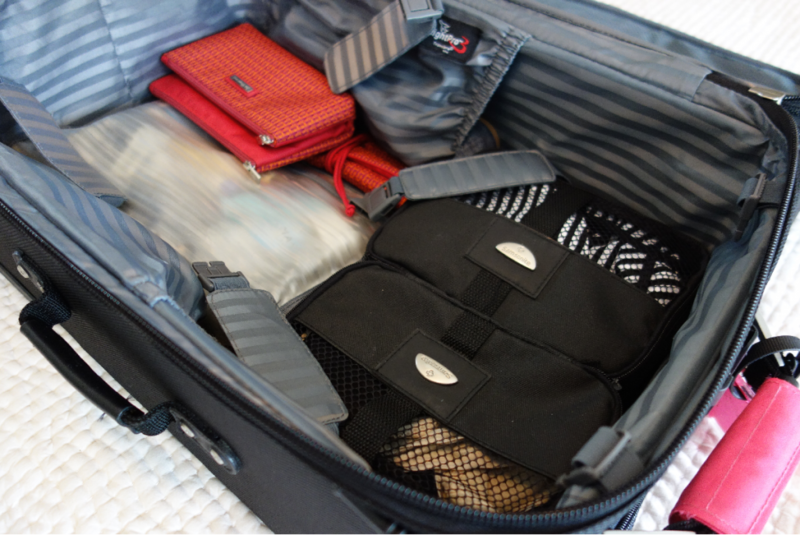 My suitcase comes with two side pouches that I slide my shoes into but, if they don’t fit or if you don’t have that option, put shoes in to a shoe bag first to keep them from dirtying up the rest of the items in the bag. A small, bathroom size garbage bag will also work as a shoe wrap. 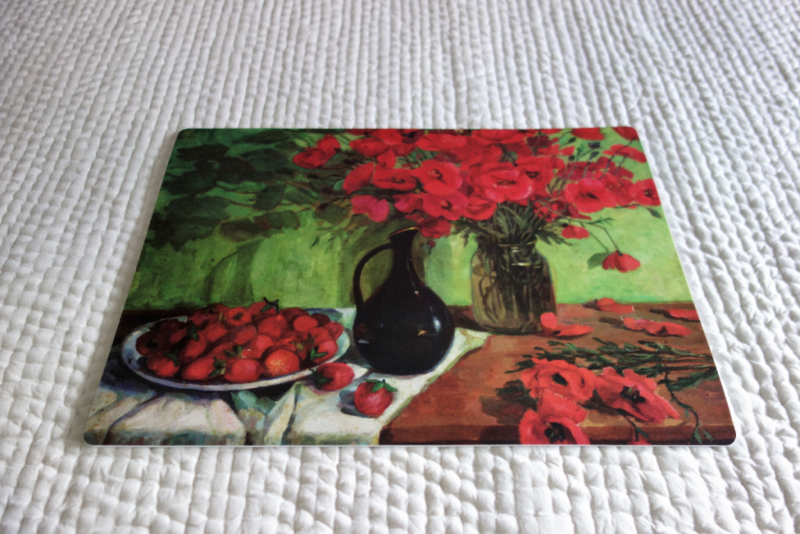 Yes, it’s a place-mat! I use this as a packing tray. 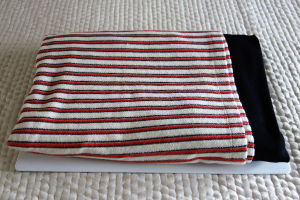 A slightly thicker foam place-mat like the one shown is perfect as a packing tray. The roughly 13 by 18 size works well for a carry on bag. It’s very lightweight, yet durable enough that it doesn’t flex too much when loaded up with clothes. 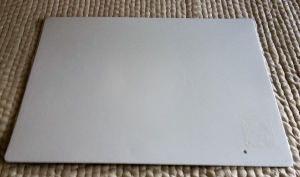 Other options for packing trays include very thin cutting boards, cut to size sheet plastic and foam core. Some of these items are available in many sizes and can be bought to fit larger, checked bags. 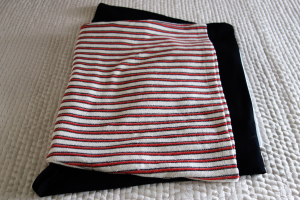 Use the white side of the place-mat for packing as it’s slightly grippier and will prevent clothes from slipping. How I pack this level, depends a bit on what I’m taking. 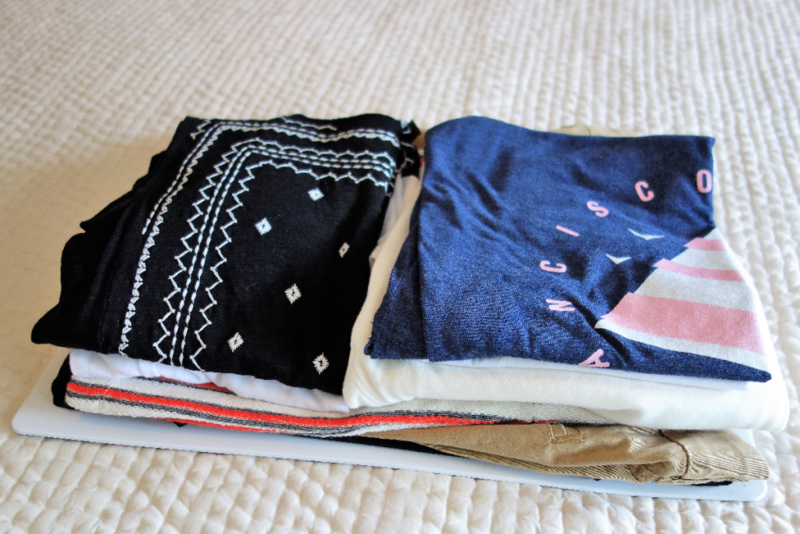 For this trip, most items are wrinkle resistant so I just folded items with as few folds as possible and stacked them onto the tray. For more wrinkle-prone items, try placing them in a dry cleaning bag first. You can also stack all pieces in a single layer, alternating the hangover end on each side and then alternate folding each piece over each other which results in fewer hard creases. I haven’t tried it but, if you are a roller, I think that could work too. And just like that, you are ready to go! Forgot something that needs to go in the bottom? No problem, just lift off your packing tray and put it in. 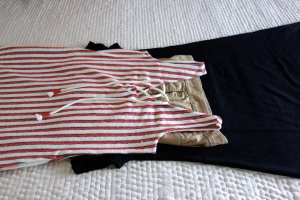 No need to go digging through layers of clothes. Minimal Makeup Bag – If you travel often, consider buying duplicates to keep in your bag so it’s ready to go. I stock up on travel sizes of some of these products near the checkout counter at Sephora. Denim fringe sandals (similar and similar) – hated to take an extra pair but they looked better with my July 4th outfit! We are open to all blogging niches and would love to have you join us. This blog hop will run through Sunday, July 9, 2017 at 11:59 PM. Please follow your host NattyGal on at least ONE of the following social outlets (Bloglovin’, Instagram, Pinterest, Facebook or Twitter). I will return all follows! If you would like to display the blog hop on your own site, too, copy the code that comes up where it says “Get Code Here” and add that to the end of your post in the HTML section. That is so cool! I have a business trip coming up and will be sure to try this out. 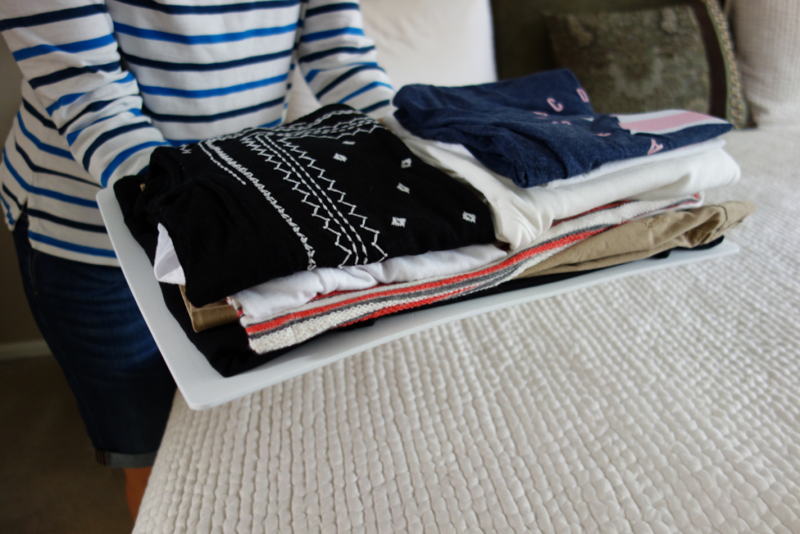 Betsy, you seriously may have just solved all of packing woes! I am the worst packer ever and I pack too much every single time. Only to discover that didn’t even pack what I really wanted anyway. Traveling is a like a nightmare for me because of this. I am going to try your method on my next trip! Thanks for sharing this fabulous secret! Thanks so much Shelbee! I sometimes pack too minimally but, hey, part of the fun is shopping when you get there, right?